Science is still uncovering all kinds of fascinating phenomena that exist all around us, just out of sight. Some are from the ocean's depths. Some are within the vastness of space. Some are within your own body. All of them are pretty amazing - although to be honest the ones in your body can be pretty gross sometimes too. No offense. 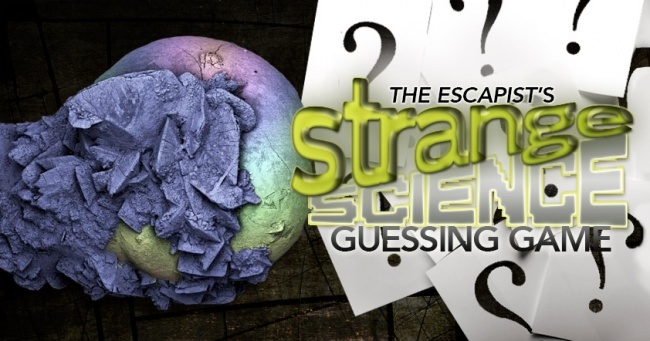 Once again we'll peel back the curtain to test your knowledge of Strange Science. Here are the rules: Each page presents a picture with absolutely no context. Your job is to figure out what it is. Once you've got it or given up, click ahead to the next page to see if you got it right. If you manage to get all five correct, you're either an incredibly well-read person or a liar who learned something new. Either way, everybody wins!